NGC 4395 is an unbarred spiral galaxy of some 55 thousand light-years across that lies around 15 million light-years away from Earth in the northern constellation of Canes Venatici. 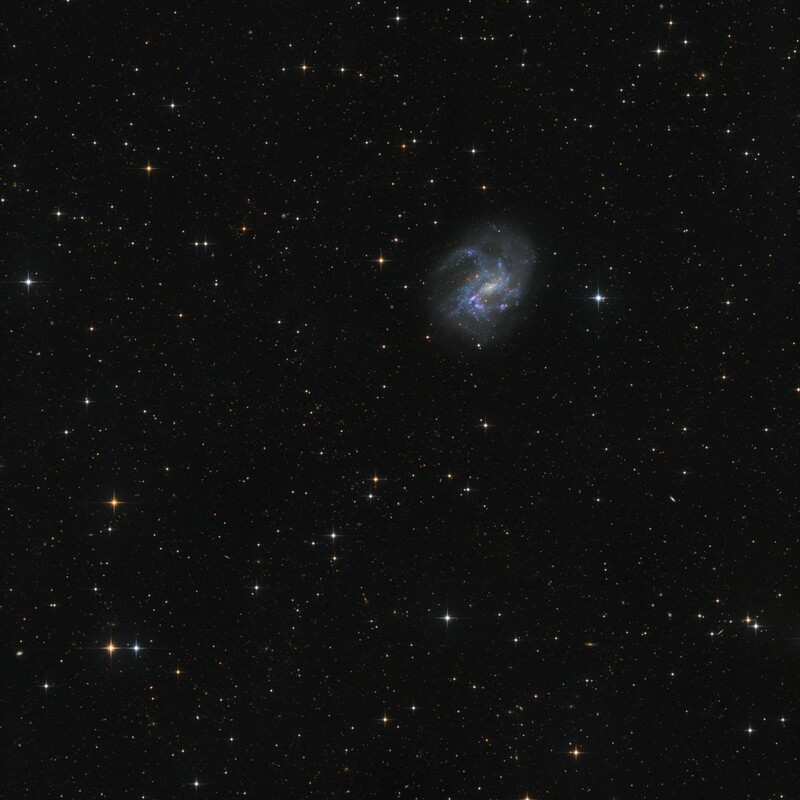 It is a chaotic, low surface brightness galaxy with a center of no more than two light-years across. NGC 4395 has an active galactic nucleus, which gives off enormous amounts of energy largely in the form of high-energy x-rays and gamma rays, and is classified as a Seyfert galaxy. While most galaxies are disk-shaped with a bulge in the middle, NGC 4395 is essentially flat; it has no central bulge. And this unusual shape may be linked to the size of the black hole in its center: the current theory holds that black holes may literally be consuming active galactic nuclei, so the black hole might have already “eaten” all the stars in the center of the galaxy.